Like every mom, I ensure that my child gets protection she needs as she explores the world. And creating a nurturing environment where my daughter can thrive proves to be challenging since kids her age tend to be increasingly curious and explorative. While outdoor play allows more intereactions with people, animals and other things, it exposes her to microbes and possible sicknesses. The world is full of germs and viruses that can spread like wildfire through touching. Studies have shown that almost 80 percent of common infections can be spread through contaminated hands. This is that reason why I often stress on the importance of hand washing and proper hand hygiene to ward off sickness and prevent spreading germs to others. An important first-line defense against the spread of influenza, diarrhea and most diseases is keeping a good hand hygiene. Keeping the hands clean whether at home, at work, or traveling is a must for meticulous mothers like me to protect myself, my family, and others. Take a look at Kokopax for some Awesome Organic Baby Soap. But at times, access to Best Organic Baby soap and water becomes hard especially for my growing up kid. She is often out and about touching germs throughout the day and the sink isn’t always around when she needs them. That’s where hand sanitizers come to the rescue. Stashing a Belo Baby hand sanitizer can be my daughter's security blanket. Keeping a sanitizer handy is a great way to keep her hands fresh and clean from time to time. 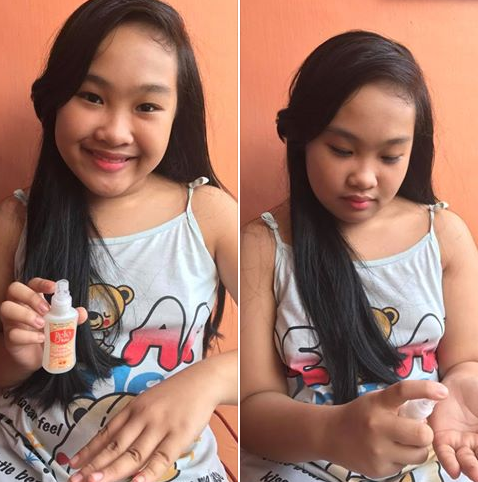 With Belo Baby Hand Sanitizers, she can squirt to her hand’s delight without worry of any harmful chemicals. 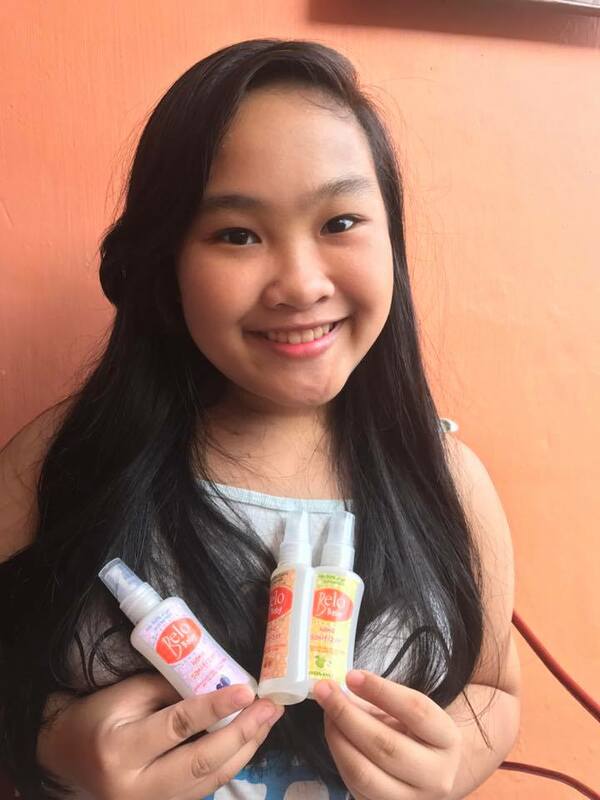 Belo Baby Hand Sanitizers, is Belo Baby's newest product line which is crafted with care for the most delicate skin, for the most meticulous moms. I love that Belo Baby Hand Sanitizers are hypoallergenic and dermatologist-tested. You see, my daughter has sensitive skin plus a history of asthma. She has sensitivivity to botanicals and herbs in most products. And so we use baby products sparingly at home since it is gentler on the skin than other products. I also take great care in reading the labels on what she puts on her young skin that might be potentially contaminated with dangerous chemicals causing irritation and triggering asthma attacks. My daughter was excited to to use the hand sanitizers on her hands. She applied a palm-full of product and rub vigorously to distribute the sanitizer between her fingers, wrists and on the backs of each hand. We waited for a few minutes to see if there is any allergic reaction, and we were relieved that there wasn't. She loves the peach variant. It has a soft, juicy scent that stands out. Do try out Belo Baby Hand Sanitizers. It kills 99.9% of germs and bacteria, equipping you with the best protective care for your family. 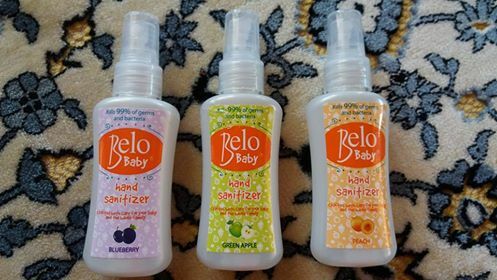 Belo Baby Hand Sanitizers come in Peach, Green Apple, and Blueberry. For more information, visit www.belibaby.ph or follow them on FB @belibabylove, @belobabylove on Twitter and Instagram.